Sometimes a vintage-inspired outfit seems to appear out of nowhere. 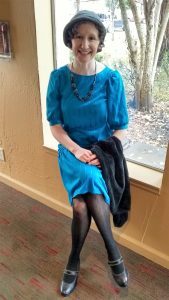 Take this blue dress for example. I discovered it on a cram-jammed thrift store wrack. Although obviously from the 1980’s, the dress’s drop waist style (with bow!) was a perfect tribute to the 1920’s. 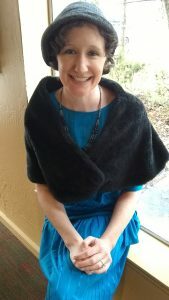 The dress was in perfect condition and, due to a timely sale, cost me a $1! Feeling like I had been visited by a flapper fairy godmother, I dug through the closet in search of accessories. I went the easy route with my outfit, using accessories I had thrifted in the past. Note to thrift store shoppers: if you find items like a (washable!) 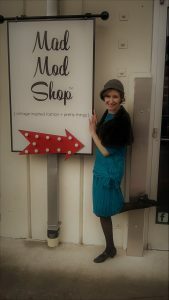 faux fur wrap or vintage-inspired shoes in great shape, you should BUY THEM! You can use them to create vintage-inspired looks from a range of decades! My hat was the only item, other than my tights, that was not thrifted. When thrift store shopping, I look for hats that are not only in great shape, but are also hand or surface washable when possible. I had way too much fun posing in my “mod” new outfit! 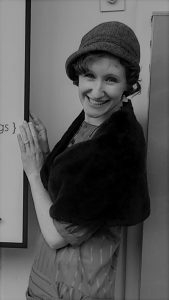 It may be time for a 1920’s themed party! 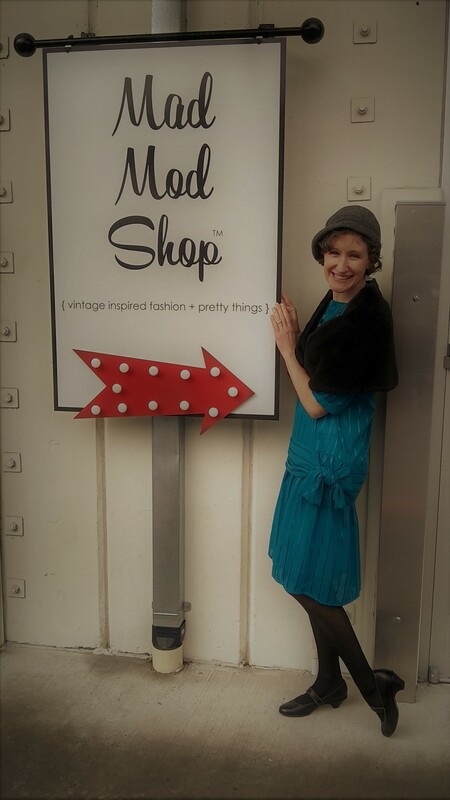 Only thrift store flappers allowed! 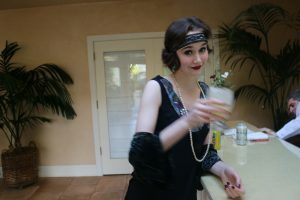 Lindee would make an awesome flapper!